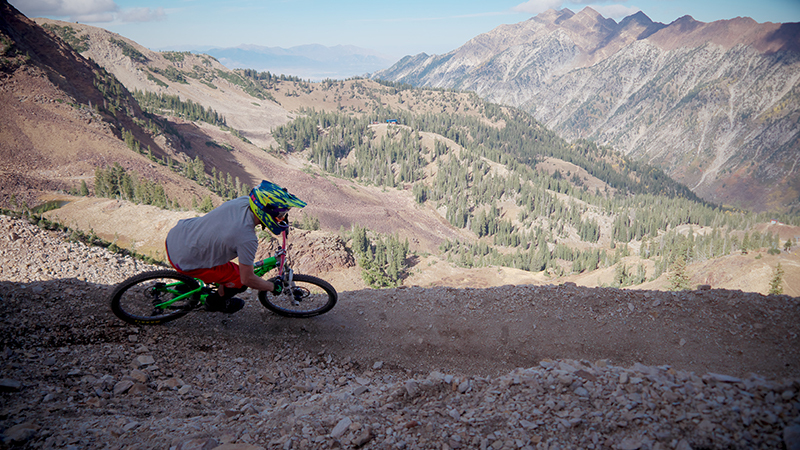 Big Mountain Trail is a newer addition to the mountain bike trails at Snowbird resort. 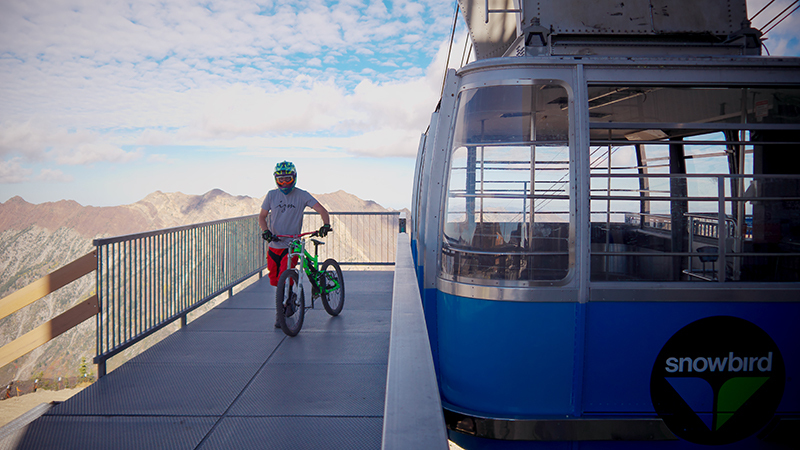 Although the trail is accessible by climbing a number of fire roads or other trails, Snowbird&apos;s tram makes those options seem more like punishment than anything else. 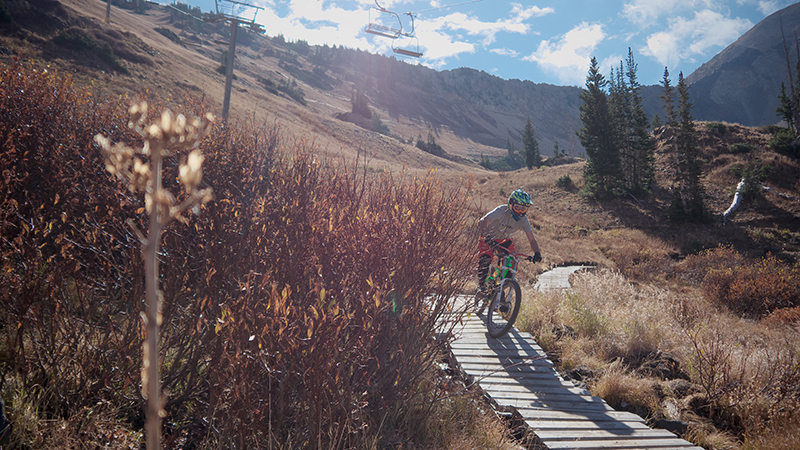 You will be more than grateful for the quick and scenic ride to the nearly 11,000-foot Snowbird Ridge. 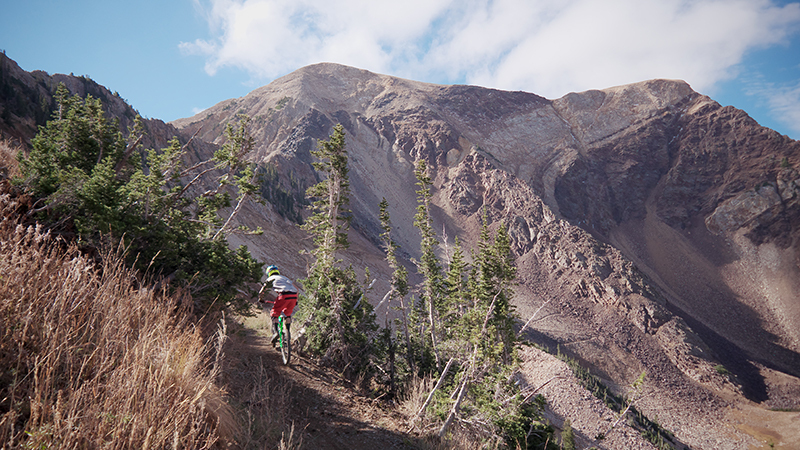 First, understand that Big Mountain Trail is not a burly, technical, big hit, downhill trail. 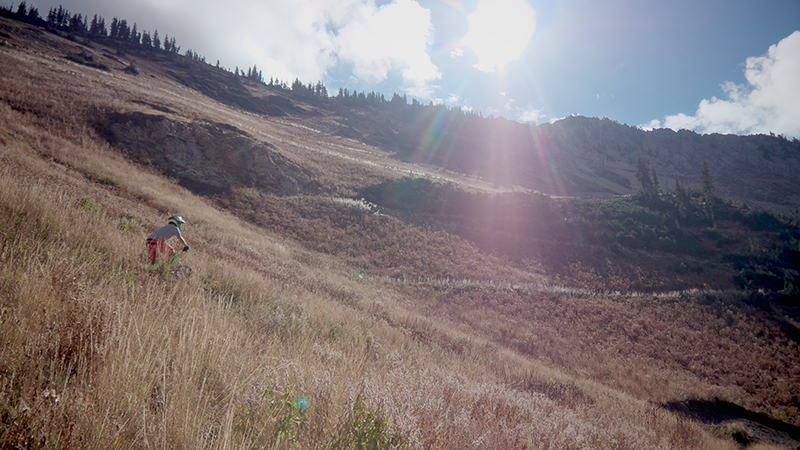 It is, however, a gorgeous, fast, flowy, endless descent suited for nearly any mountain bike. Once you disembark from the tram you&apos;ll run down the road to the south and make a sharp right that cuts you back north on the Big Mountain Trail itself. The views from the top are breathtaking, and the scenery as you descend will leave you in awe. The work Snowbird has put into the trail becomes immediately apparent. You&apos;ll cut down the grassy slope on deeply bermed, tight switchbacks with rollers on the straightaways and well built ladders over the marshy areas. The entire trail is littered with rollers that you can pump through or air out of. You&apos;ll also encounter the occasional natural, but mellow, rock garden. 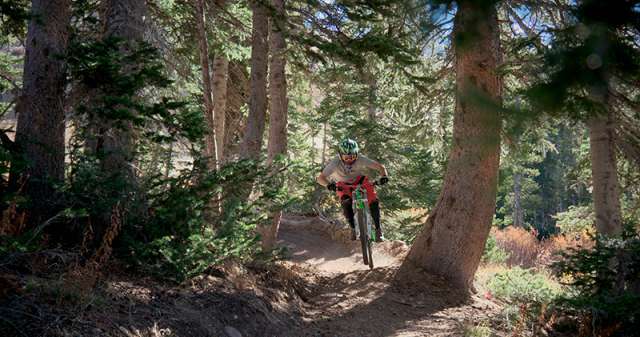 Eventually, you&apos;ll cut into deep pines with berms, tabletop jumps, and rock features. That will lead you into the aspen groves and one notable ladder feature that wraps you around a rock face before you drop back into the pines. Eventually you drop out right back at the resort itself, so you can board the tram and get ready for your next lap. Pros: Tram access. Long descent. Vistas. Flowy. Check out more about this trail at Outdoor Project or download the PDF guide to print and take with you.